Pt. 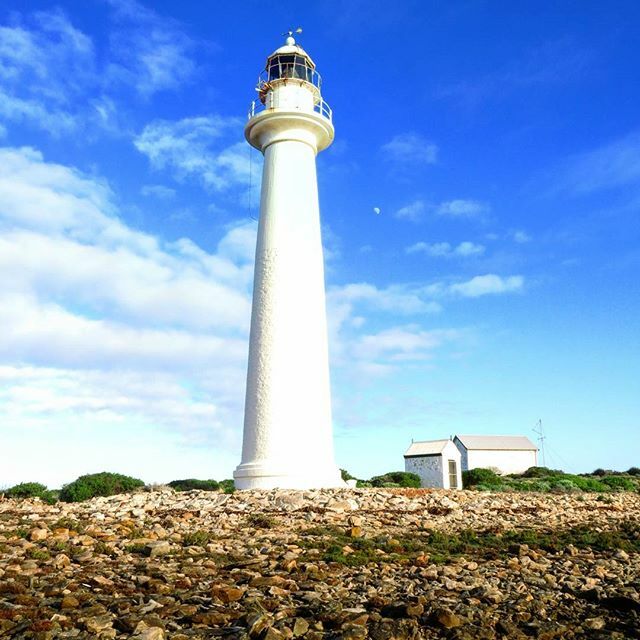 Lowly Lighthouse, cuttlefish dive trip accommodation. Photo credit Amy Dickenson. Great animal migrations happen all over the world from the Sockeye Salmon migration in Alaska, Whale Shark migration in the Yucatan Peninsula Mexico and the Sardine Run in South Africa just to name a few. 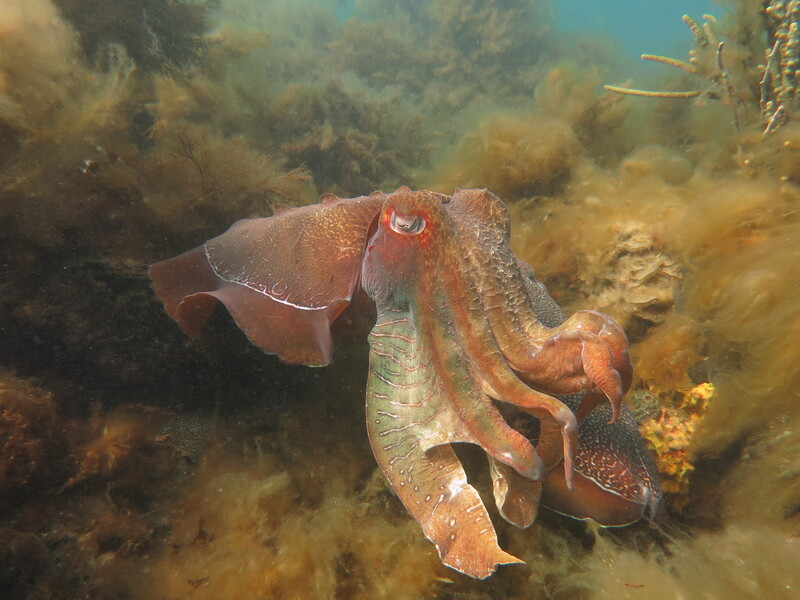 This weekend we were able to witness another famous migration in our own backyard; the Giant Australian Cuttlefish (sepia apama). These magestic animals come to Point Lowly each year from different areas of the Australian coastline. 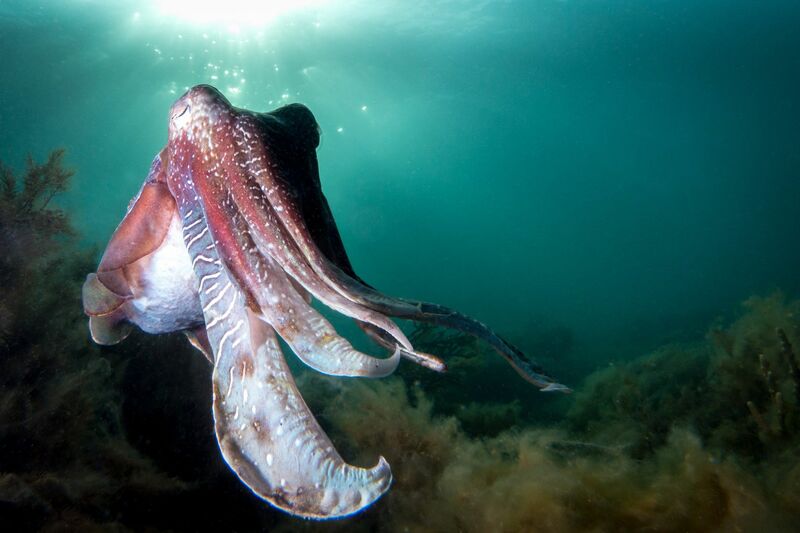 During this annual breeding movement, the cuttlefish put on a mesmerizing light show. Giant Australian Cuttlefish in its’ natural surroundings at Pt. Lowly. Photo credit Dave Robertson. The Dive Shack packed its’ bags and headed up to the Eyre Peninsula from Adelaide for another successful dive trip. With most arriving on the Friday night, the atmosphere was buzzing with excitement to jump in the water though we patiently waited until the following morning. We returned to the Pt. 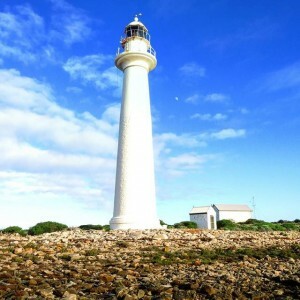 Lowly Lighthouse cottages this year happy to be back in the beautiful heritage listed buildings. As people kept rolling in, the space around the tables under the verandah became smaller, the noise became louder and the laughter continued among new and long term dive buddies. After a few shared wines, beer and even port, the group decided to call it a night to make sure everybody was fully rested for an exciting day ahead. 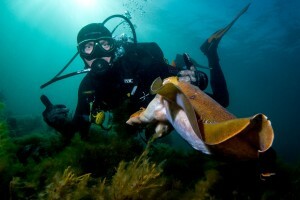 One of the many divers, happy to see the cuttlefish in action. Photo credit Dave Robertson. Saturday morning arrived in full sunlight and eager faces. Whilst some of us were still in bed, others made their way down to Cuttlefish Drive and quickly suited up to get in the water. In the 13°C ‘refreshing’ waters, some were finishing up their Dry Suit course, whilst others braved the temperature in wetsuits! Around 50 people came down with The Dive Shack this year, but the waters were not over populated with people, only with the cuttlefish. As soon as your face recovered from the initial shock of the water, you could see these alien-like creatures in front of you, behind you, under you, basically everywhere! Cuttlefish putting on their best display to dazzle the ladies. Photo credit Dave Robertson. 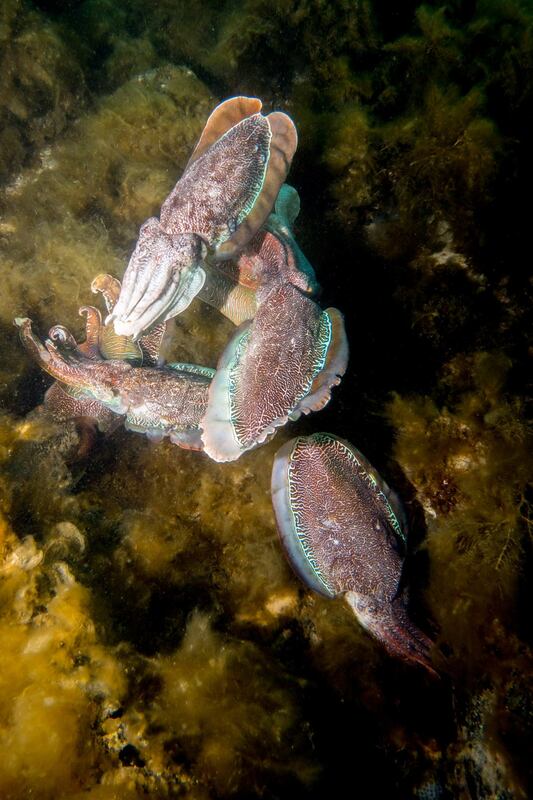 During the breeding season male cuttlefish compete for the attention of the females; these guys have their work cut out for them as the ratio of males to females during this season is up to 11 to 1! These contests are a beautiful display of rapidly changing colours and patterns that sometimes end in an aggressive fight. 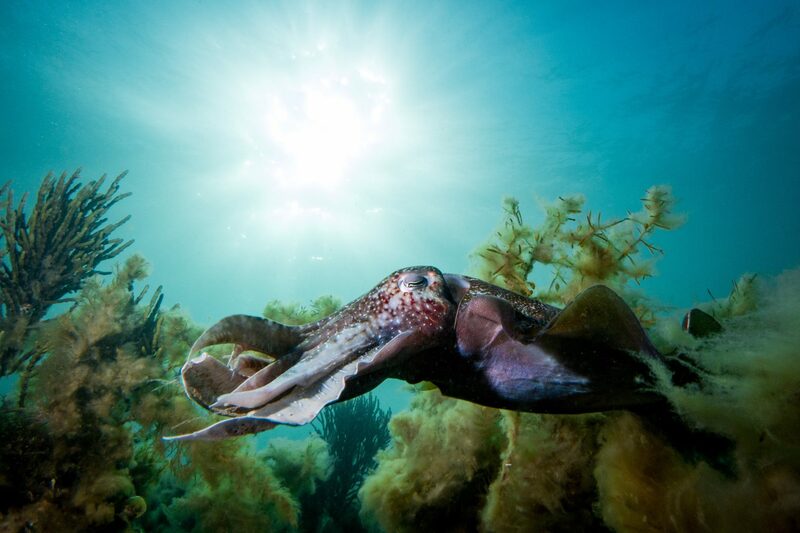 Using cells known as chromatophores, cuttlefish put on incredible displays of colours that change instantaneously. The females are seen scuttling away to attach their eggs to the underside of rocks where they will hatch in 3-5 months. Shortly after this fishy love fest the cuttlefish have achieve their lifes’ purpose and now can pass on to the afterlife. A spectacular end to an adventurous life. 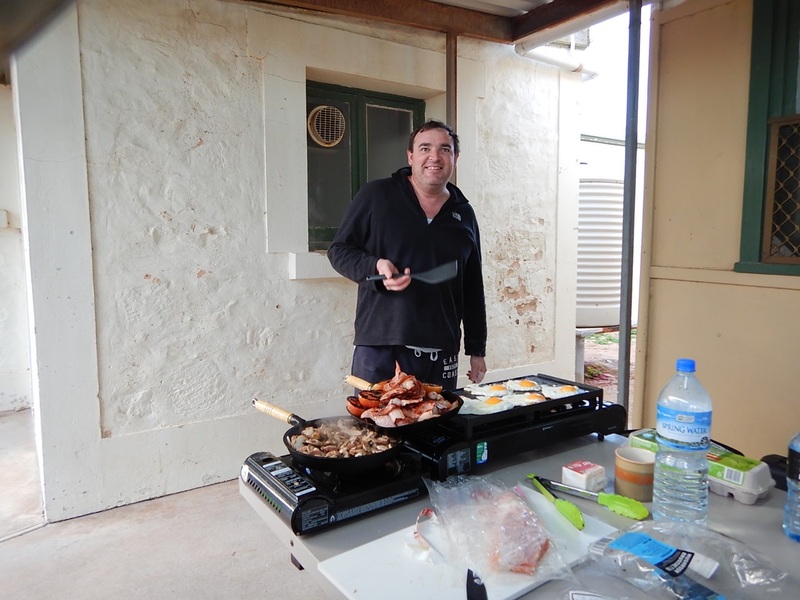 Starting the day with a big brekky. Photo credit PT. Most divers got out for a short break before jumping right back in again. Second time round, just as enthusiastic, only losing feeling in their fingers. After many snaps were taken and the sun began its journey across the world, the group gathered back at the cottages. Those who were done earlier were blessed with hot water showers whilst others got creative (yes, I took a thermos into the shower). 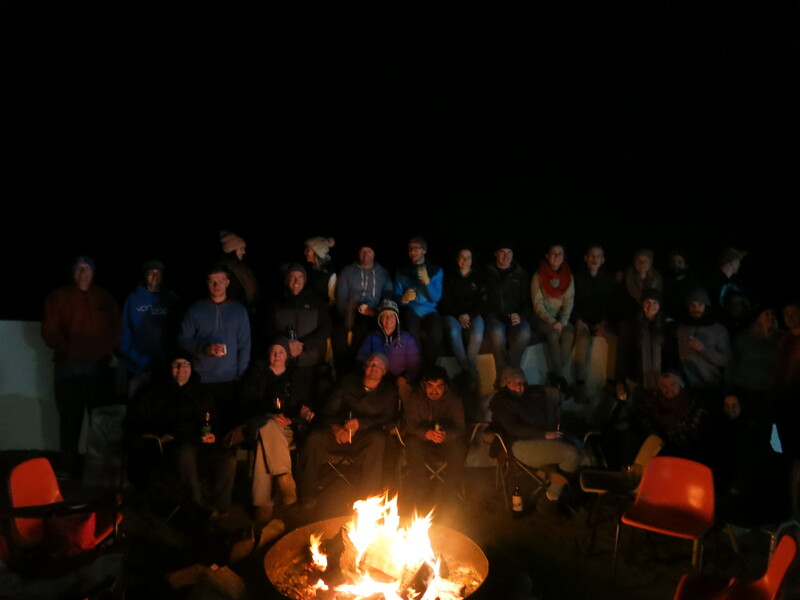 Some amazing people got the campfire started whilst others started digging up their salads and other specialties for a night filled with food and fun. Stories were told around the campfire whilst other activities were taking place under the verandah. All in all it was a great trip with a great community of people coming together with our passion for the underwater world. 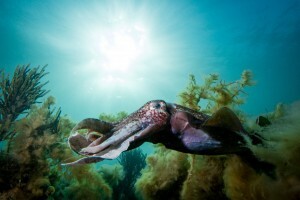 Giant Australian Cuttlefish hovering over his target. Photo credit Amy Dickenson. 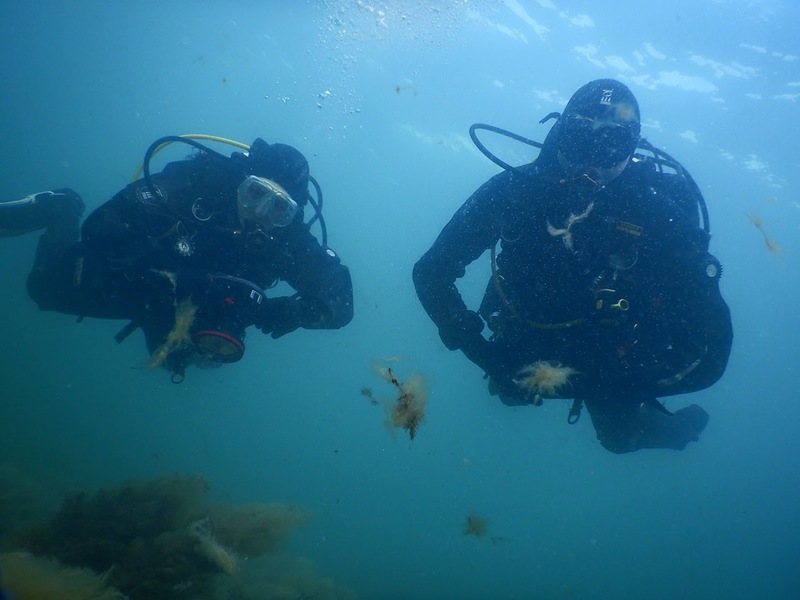 Our dive staff, Rosie and JD, looking at home (and dry) in the water. Photo credit PT. This was another successful Whyalla Cuttlefish dive trip. We’re looking forward to continuing this trip to see these amazing animals breeding next year. If you missed out this year, make sure you come on the next one! Some of the group gathered around the campfire. Photo credit Cleyon Wright. Ocean lover, friend of the fishes and teacher of scuba diving.